“Can’t buy me love…” as the Beatles used to sing. 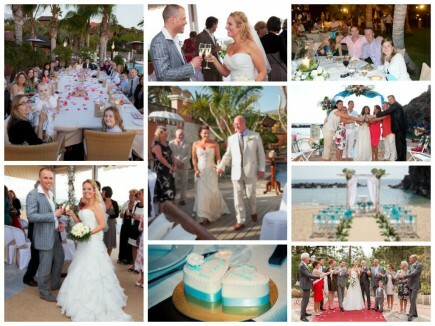 But your dream wedding abroad in Tenerife is absolutely affordable. Below we want to give you an overview of what should be considered in your wedding budget. Keep in mind, that Tenerife is also a perfect place for spending your honeymoon, so you can save costs by just extending your stay! To some couples it might sound very expensive to get married abroad. We can prove to you that this is wrong by simply comparing the prices! The costs for high class venues in Tenerife are much more reasonable than in other European countries. And the priceless view over the Atlantic Ocean we can add on for free. (Keep in mind that these are just some suggestions. We can customise your wedding budget to satisfy your desires, just ask us). - Wedding photography during and after the wedding for you to remember forever. - Transfer for you and your guests. - Romantic activities for an unforgettable honeymoon in Tenerife.